Non-Republicans may be forgiven for feeling confused by a report from BuzzFeed’s McKay Coppins that many Republican insiders are privately freaked out by the renewed possibility that Donald Trump could actually be elected president. Wasn’t their horror toward Trump mostly a matter of fearing he’d be a disastrous loser who’d drag the whole ticket down with him? If he’s doing well enough to be a threat to win, won’t that make it infinitely easier to hang on to a Republican-controlled Congress? These are good questions, but the truth is GOP-insider fear of Trump was never just about his 2016 general-election prospects. Some Never Trump conservatives sincerely fear the man on some of the same grounds many liberals feel. Others are worried about what Trump is doing to conservatism itself. 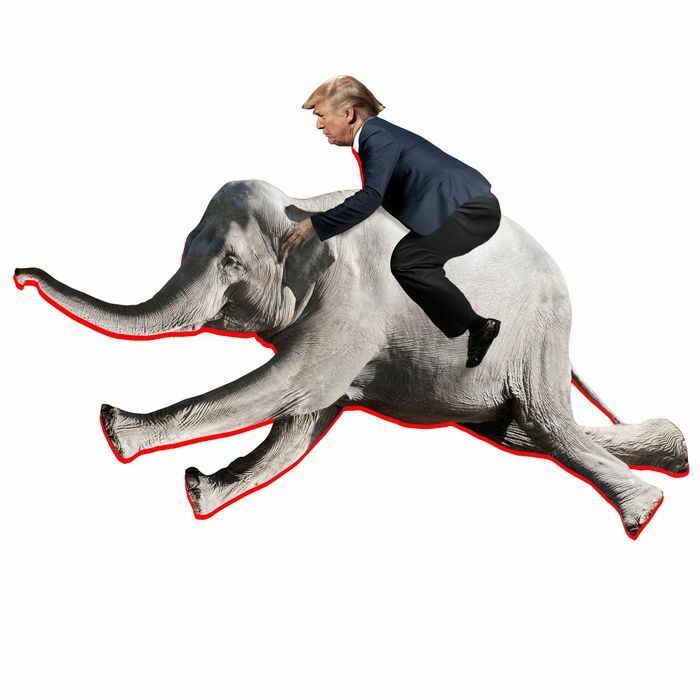 But there is an underexamined reason for a secret GOP desire to see the mogul lose in November: The immediate future of the Republican Party could actually be pretty rosy under a President Hillary Clinton. Unless the GOP loses the House along with the Senate, it should have the power to pretty much stymy anything the 45th president tries to do. If they hang on to the Senate, their obstructionist power might extend to Supreme Court and other appointments. Either way, 2018 would be set up as a boffo year for the “out party” up and down the ballot. The Senate landscape that year is already astoundingly positive for Republicans, and there’s no reason to think the GOP will immediately lose the midterm-turnout advantage that proved so useful in 2010 and 2014. Indeed, a President Trump is about the only thing that could screw up 2018 for Republicans. A third straight Democratic term in the White House, moreover, would greatly improve Republican odds to finally break their presidential losing streak in 2020. That’s an even bigger deal than you might immediately imagine, since that’s the election year that will determine control of the state legislatures that will conduct congressional and state redistricting for the next decade. By contrast, a 2020 reelection campaign for President Trump would be a dicey affair, particularly since he’s pretty likely to draw a primary opponent. And then, of course, there’s the big X factor for those Republicans who don’t care for Trump: If he loses, he could quite possibly be disposed of quickly as a factor in Republican politics. Yes, Republicans would have to figure out some way to keep the white ethno-nationalist passions he aroused at bay or better yet channeled in a more constructive direction. But there’s a good chance Republicans could treat the near disaster of 2016 as a cautionary tale and go back to fighting among “movement conservatives” and “reformocons” and pragmatists over control of the party, perhaps even finding ways to detoxify the party for Latino and millennial voters. If Trump wins, of course, you can add to his prestige as the Republican who broke the Democrats’ grip on the White House the vast patronage powers of the executive branch and the even greater power of presidents to define their party in the public’s eye. That alone is enough to privately terrorize GOP power brokers whose supposed power over the 2016 presidential nomination was decisively broken by Trump.